Most of us know about using REVs for getting information on a car we want to buy. But did you know that it has now been transferred to PPSR? 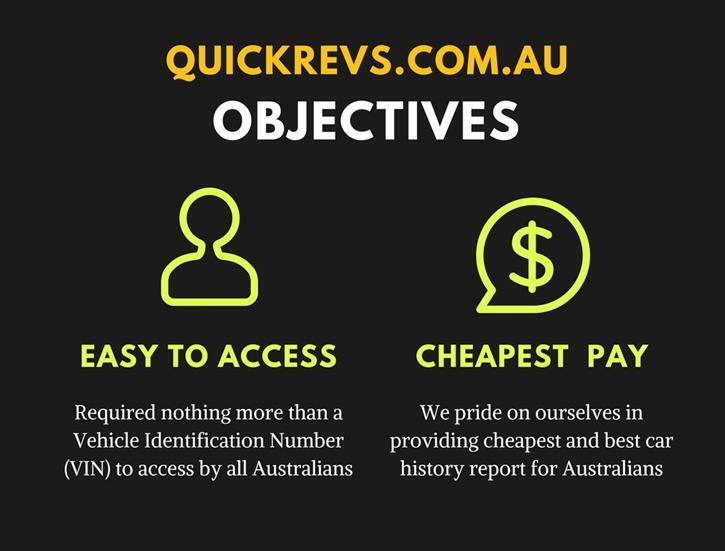 Yes, that’s right our trusty REVs reports are now available through the government’s PPSR register. Let’s take a look at how free REVs check became PPSR and what you can look forward to with the PPSR. How did REVs Check become PPSR Search? We all know that REVS check stands for Register of Encumbered Vehicles. This was our original go-to source for all the information we needed on buying a used car. But, in January 2012, REVS was combined with other security interest registers to form the PPSR - Personal Property Securities Register (PPSR). So, the current PPSR - which was formerly known as REVS check - is now a central repository which contains information about all the vehicles being driven on the roads of Australia. When you do a PPSR search, you will get a PPSR report. And you can access these reports in any state in Australia. This report is generated mainly based on the facts and figures collected from Government entities that are responsible for collecting and storing this information. Now, the PPSR allows buyers to get a comprehensive report that is generated from all the information in the registers held by the Australian Financial Security Authority (AFSA). It holds all the data Australians need to make a decision with confidence when buying cars, bikes, boats and other machinery. Through the AFSA, the government works on collecting accurate information from individuals, verify the authenticity of the information to be true, and then add it to their databases. Once their databases are updated, the AFSA then sells this information to the public. Accessing these reports is mainly done through services such as Quick Revs. Using an online service to get a PPSR report helps individuals to get a detailed, and most importantly, easy-to-read report. These reports outline the information in a clear manner that makes it easier to see the critical material, so that you can make an informed decision before you buy. How do you use the PPSR Reports? The PPSR operates just like the REVS reports used to. The only difference is that you can access information on more than just vehicles as well as other information on vehicles that you would have to pay to use a different registry for. Since buying a used car involves more risks as compared to buying a new car which involves comparatively fewer risks, PPSR becomes very important in the buying process. The main threat with buying a new car might be that the car financing company is not dealing fairly well with you. On the other hand, there are some inherent risks in buying a used car. The used car may be stolen, have been in an accident and totaled or sold to you with some financial liability outstanding. Hence, it is essential for the buyer to do a PPSR search before committing to the seller. You, therefore, use the PPSR report to tell you if there is any negative information on the car that makes it so that you may not want to buy it. Is there a PPSR difference for Commercial vs. Individual (Single Unit) Buyers? As we know, commercial buyers tend to buy vehicles in bulk, even for used cars. The buyers can arrange to get reports themselves online, or work with the reports provided by the dealer. Of course, the best course of action is to conduct the search themselves since they are planning to spend a lot of money for their company. Individuals generally purchase a car at a time. Because of this, they must be smart and ensure that they get all the necessary details about the car. And that’s where the PPSR report is important. It provides facts on the car’s history like past owners and car condition. The ppsr report (not the revs report anymore) is the solution to this problem of getting accurate information to help in making the right decision. No matter who you are going to buy a car from, and whether you want a used vehicle for a business or yourself, a REVS/PPSR report is always helpful. It ensures you can make the right decision and save yourself from the hassle of illegal activities or getting into trouble after closing the deal. That’s why it is of utmost importance to invest a few bucks in getting the report when buying a pre-owned vehicle anywhere in Australia.